I’ve been kind of obsessively reading a book the past few weeks called On Immunity by Eula Biss. I’ve read it with a yellow highlighter in hand, marking passages that make me think, that make me go, “Mmm hmm, I’ve been there. I know that thought. I know that fear.” It didn’t take me long to realize that her writing – which is philosophical and poetic more than it is medical, in spite of her topic – was familiar. I had read and scanned and saved an article she’d written in January 2013 called Sentimental Medicine, which was published in Harper’s Magazine. It was this article that grew into her book. When I finished the book I read an interview with the author in which she explained that she hadn’t set out to write a book or even a published essay about vaccination. She had started writing about it for herself, to sort out her own thoughts about it all. I get that, too. That’s why the book was so fascinating to me, because of my own journey around this in the last 12 years. When I was a child, I wanted to be a psychologist, and perhaps I should have listened to that call. I am fascinated by the human process, and in my personal psych lab I am my own favorite study. I read the book because I wanted to better understand my own personal journey around vaccination; because I am fascinated by the process that led me to do a 180 around the question of whether and when to vaccinate my children. Disclaimer: I’m not writing this to preach. I’m not writing this to change anyone’s mind. My intention is not to tell anyone what to do. I’m writing only about my own journey here. And I understand how deeply personal a choice this is, even while I now understand how deeply public a choice it also is. When I was pregnant with my first daughter 12 years ago, whether or not we would immunize her was a hot topic. I read everything I could get my hands on at the time, talked about it with our midwives, talked about it with fellow pregnant friends. I lived in the San Francisco Bay Area, and if you’ve ever lived in the Bay Area you know that there are ways of thinking that aren’t questioned in a way they would be if you left the Bay Area – which I did four years later. Especially around all things related to motherhood and children – birth, breastfeeding, vaccination, nutrition, education. It was easy to feel inadequate amid the collective messages that circled around me at the time; in fact, it didn’t take long for me to feel like no matter how hard I tried, I was doomed to fail at being the perfect parent and raising a radiant, thriving child. The homebirth collective I was a part of held an “immunization panel” to discuss the issue, where parents could ask questions of practitioners on both sides of the “to immunize or not to immunize” question. When I remember it now, I’m not so sure the panel really did include all ends of the spectrum. But I really believed, at the time, that I had done my homework. 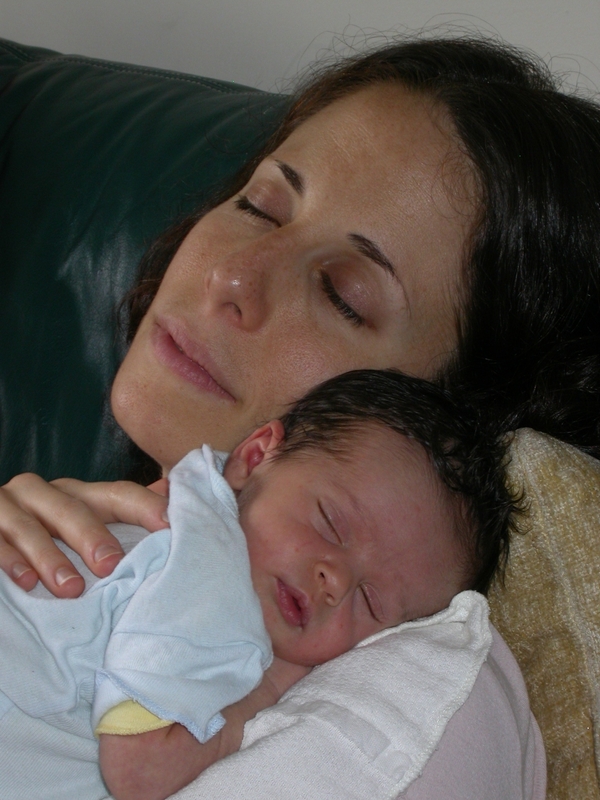 Before our daughter was even born, I spoke with her pediatrician – who after practicing for over 35 years was no novice to children’s health – about a delayed and partial vaccine schedule for our child. And that is what we did. For her entire first year of life, our daughter wasn’t vaccinated. I wanted her pristine immune system to have a chance to build up on its own, without being bombarded with viruses and chemicals. I breastfed her and understood that this would keep her safe. She wasn’t in daycare during that time so she wouldn’t be prone to all of those germs. Her pediatrician explained that an adult with whooping cough might just have a cough, whereas a baby with it could stop breathing, so to keep her away from anyone coughing, even at the grocery store. I could do that. When she turned one, a magical number I’d decided was enough time for her immune system to be strong enough, I took her to get her first shot. On her immunization record, it says that shot was for HIB, which I remember her doctor said was very dangerous for a young child. A month later she got her first polio shot, and five months after that she got her first dose of DTaP, except I asked for the version that did not contain the P for whooping cough. My understanding was that she was past the point when pertussis could make her airways shut down; she couldn’t die if she got whooping cough and I was more terrified of what I’d read and heard was in that part of the vaccine and what it could do to permanently damage her body. I can’t remember anymore what terrified me so. It took the next 9 years to get my daughter caught up on all of her immunizations. At 11 years old she still hates needles, and since I wanted her to get no more than one or two vaccines per visit, that was a lot of needles and a lot of visits and a lot of trips to frozen yogurt afterwards. What changed? I can’t say exactly, but a few things happened. First, we moved from the Bay Area and landed abroad and then in the Midwest for several years, and the messages around us changed. While we were abroad, I got very sick with shingles and my then three year old daughter kept wanting to touch my blisters, which could give her chickenpox. I couldn’t imagine caring for a child sick with chickenpox while I myself was so miserable with fiery blisters on my chest, back and arm. So I got in a cab and rode to the other side of town to pick up what seemed like the last remaining chickenpox vaccine in the city, and then took my daughter to the American doctor to get the vaccine put into her system. He warned me that it would take two weeks to really build up her immunity and that she would need a second dose at some point to be even more effective. The first time I felt let down by what I had believed about vaccines was when I got the shingles. I had had chickenpox as a baby, a full blown case, the kind that I had previously understood would provide me with much “stronger immunity” to shingles than the chickenpox vaccine ever could. Well, I know now that shingles doesn’t work that way – once the chickenpox virus is in your system from having had it, you are always at risk of getting shingles, a piece of the same virus that travels in your nerves, and it can come out when your immune system is compromised in some way, which mine was. We left our life abroad abruptly and unexpectedly when we learned that our second daughter, who had been growing inside me for 21 weeks, had a serious and life-threatening birth defect. Our baby girl was born back in the Bay Area and lived for just two months. For her entire short life, she struggled to breathe. She lived attached to machines that helped her to breathe and tubes that administered medicine and fed her my breast milk. During the few weeks when we held hope that she might at some point be able to come home on oxygen, we talked to the doctors about whether they could vaccinate a child so fragile, and which vaccines were most important to protect her. We discussed the yearly RSV vaccine for children with fragile lungs and airways. We discussed the pneumococcal PCV and HIB vaccines. We discussed whether she could wait to get her Hep A and B shots. What changes forever when you watch your very sick child fight for every breath, when you hold your child alive but attached to so many wires and tubes helping to support her, when you hold your child as she breathes her very last breaths and her spirit lets go of her fragile body? You take nothing for granted again when it comes to the health of your children. Nothing. And what matters changes completely. Forever. I took so much for granted when I was pregnant with my first daughter. And for the first half of my pregnancy with my second daughter (which was actually my third pregnancy since I’d miscarried early the second time) I was also incredibly confident. Even with the shingles I had during that third pregnancy, a few months before the ultrasound that revealed her birth defect. I remember rebelling against using the word “defect,” instead referring to it as a birth “anomaly.” With time, I’m no longer attached in that way; they’re just words, really. After our baby died and we had moved to the Midwest, our new pediatrician was a heavy pusher of vaccination. She was not green either, she’d been practicing for over 20 years and she understood public health. She was as concerned about the community at large as she was about my daughter and her other young patients. “You can go blind from measles,” she explained. At first it irritated me, and I clung to my long-held beliefs about not wanting to bombard my robustly healthy five year old with a bunch of shots filled with preservatives, many for diseases that didn’t even exist anymore, at least not in the U.S. I didn’t want to sell my Bay Area-raised soul just because I was living in the Midwest, where so many less people seemed to question vaccination. But something happened over time: I forgot why I had felt the way I’d felt when my daughter was born. I couldn’t explain to her doctor or to other moms why vaccines were so dangerous. In a way, my fear of immunization began to dissolve, perhaps because of all I’d seen in the NICU. Perhaps because I no longer trusted that nothing could harm my child if only I did all the right things to strengthen her immune system. Over time, I started hearing our new pediatrician differently, trusting that she had my child’s – and all children’s – health at heart. We continued to get her caught up on her shots. My only holdout was the flu shot. I still believed that for my healthy daughter, and for our healthy family, the flu wasn’t a danger. We all took our vitamin D and fish oil and ate well and washed our hands. The viruses our daughter got about once a year, whether they were the flu or something else, meant a lot of movies while she lay on the couch drinking Gatorade and sucking on popsicles; they would strengthen her body to protect her from worse things. Then I read Biss’s piece in Harper’s and for the first time, I understood how herd immunity works. And that is the piece that tipped the balance in how I felt. There is a line somewhere in the article – and in her book where these pieces of the article appear – where she explains that for many years it worked for some people not to be immunized because of the herd immunity provided by all those around them who are vaccinated. I was reading the article at work while I ate my lunch, and I froze. A voice in my head – my own voice from years before when my first daughter was just a baby – said, “We don’t need to vaccinate her. She’s safe even without her shots because everyone around her is vaccinated.” I actually said that, several times, to several people. Friends said the same thing to me about their unvaccinated children. We had that luxury – we could count on herd immunity to protect our unvaccinated children from illnesses. I didn’t think about others. I didn’t think about children like my second daughter, who are too sick to be vaccinated but who need more than anyone to be protected from illness, how herd immunity protects them. I didn’t think about old people, those who could die even from the flu. I didn’t think about how herd immunity protects pregnant women and their babies. I didn’t understand then – as I was now understanding for the first time – how my vaccinating my child meant contributing to the protection of not just my community but the larger community of our entire world. I copied the article and gave it to my husband to read. I think he was relieved. I shared it with a few friends, not because I felt the need to convert anyone to my new realization but because I needed to process what I had just understood with people I trusted. I can’t say exactly why the idea of protecting others all of a sudden hit me in a way it hadn’t before – I have always been a sensitive and empathic person – but it did. Hearing myself all those years before taking for granted that my unvaccinated child could remain protected without my having to vaccinated her… well, that got me. Measles is back in California. That makes me wonder if I would have trusted the herd immunity around me quite so cavalierly if this had been the scenario when I was pregnant for the first time. I live with an auto immune condition that requires me to be on immunosuppressant medication. That means that I have joined the ranks of those with fragile immune systems – babies, elders, pregnant women. I am more susceptible to viruses than others. I can get more sick than others. Thankfully, this has not played out in horrible ways, and I do a lot to support my health and immunity. But it is always something I am aware of and health is not something I take for granted. This year we all got flu shots, including my strong-as-an-ox husband because his work takes him to hospitals and nursing homes and places where people are vulnerable. My son came to us through adoption, and there is so much we don’t know about his biological family’s health history. He is almost two years old and he has had almost all of his shots according to schedule. The only one I requested delaying, because he was born early and weighed less than 4 pounds at birth, is Hep B, but he had that shot within his first year. Like my biological daughter, he is robustly healthy. And lately, I’ve been questioning a lot of my own fears. Because I don’t have the luxury anymore of taking medicine for granted; medicine, that imperfect system, has helped me. I have an ongoing relationship with my doctor and each year I am the only one in our family who meets my health insurance out-of-pocket maximum. I recognize my need for the medical system, however much I would love to not come anywhere close to that limit each year. Because my illness is related to my digestive system, I have spent a LOT of energy fearing what I consume. I have wished I could afford to eat only grass-fed meat, eggs, dairy, only entirely organic vegetables and fruit and grains. I have spent weeks and months trying out a paleo diet, a vegetarian diet, a grain free diet, a vegan diet. I have feared meat and I have feared soy. I have feared grains and dairy and sugar and caffeine and alcohol, even chocolate. I have feared toxins and heavy metals and chemicals and candida and leaky gut, and so many other things I can’t even remember them anymore. I have learned the hard way that detoxing and cleansing are not good for me, that they always trigger a flare of my illness. And I have learned that this fear doesn’t serve me, that it doesn’t guide me towards healing. I am learning to nourish myself and to approach cooking and eating as an exercise in nurturing – myself and my family. As I read Biss’s book I heard myself so many times; her fears were mine, her insecurities as a mother were my own. And one more thing was mine, too: a surrender of the idea that we have any control over any of it. We spend 9 months in a completely sterile environment, and the minute we come through the birth canal we are exposed to millions of bacteria. Google the word microbiome and you’ll understand how dependent we all are on these bacteria, which also need us to survive. And, as Biss describes, how intricately connected we are with everything that lives within and around us, including each other. For me, that helps to take away a lot of the fear. Since I can’t protect my children or myself from EVERYTHING that is out there (and everything that is already a part of us), all I can do is my best to care for, nurture and protect our perfectly imperfect bodies. Note: Biss refers to “how we make friends with our monsters” on page 154 of her book. This made me think about how we all carry monsters inside of us, both literally (the organisms that are a part of us and that we are a part of) and metaphorically (our fears, our insecurities), and that perhaps if we make friends with them we can see how much we need them and they need us. I’ve been listening to podcasts a lot lately, mostly about the mind and our thoughts and how we work, and about science. The thinker in me, the cells in my brain love the stimulation. This morning as I made my tea and started my day, I listened to this one from Radiolab called Fetal Consequences. I can’t really stay away from a title like that, even if I know it might stir something up. And it did, but not in a bad way. More in an, “Okay, whoa!” kind of way. The science, according to the show, is this: Fetal cells and maternal cells do not stay separate during gestation. In fact, fetal cells intermingle with maternal cells, and they remain in the mother’s body for decades, possibly an entire lifetime, after a baby is no longer in a mother’s womb. Even fetal cells from miscarriages, stillbirths, abortions. Even fetal cells from babies who are no longer here. Scientists studying what the role of these cells is in a mother’s body believe they can both help and hurt. Help in that they have been found in areas of women’s bodies who have an illness, say in the liver of someone with hepatitis. Hurt in that they may also contribute to auto immune conditions like arthritis. I’ve been pregnant five times and I have one living biological child, my daughter, and my son grew in another womb. So my heart leaped at the thought that my babies’ cells remain inside me. I love that I carry a piece of those I’ve lost inside me and always will. It’s like when I learned years ago that all of our eggs are already in our tiny ovaries when we are growing inside our mothers’ wombs, so that for nine months of pregnancy we get to carry not only our children but also our grandchildren inside us. For the part about how these cells might do harm? I’m not sure what to think, and the science is not conclusive about any of this. But I do have an auto immune condition, and I’ve always been intrigued to think that, in me, it happens to be located in that second chakra place close to my womb. It’s an emotional place for me, still marked by the faint vertical line that appeared on my lower belly during my last pregnancy, the line I was happy to see never quite faded completely after that pregnancy ended. A reminder that I carried them all, even if they are not all still here. I wonder about my son’s birth mother, and what she carries of him, literally and emotionally, almost two years since his birth. What she may carry for the rest of her life. How he will remain in her. How he has so quickly made his beautiful way into my heart, if not my cells. I know there is still healing that remains. And I know that there is a way in which we never completely heal from the loss of a child. And that’s okay. In six and a half years since losing my daughter, and the losses before and since, I’ve learned not to force myself to be anywhere but where I am. I’ve learned that grief is cyclical and not linear, that it can be repetitive while it propels us forward even when it can feel like we are moving backwards. I’ve learned that I carry each of them inside me always, their essence, their spirit. This is my favorite time of day. The morning, after everyone is off to school and work and the house is quiet except, today, for the hum of the dishwasher and the washing machine. The tea is brewed and poured and honeyed. It is the time before phone calls need to be returned and emails responded to, before I start working. The time with just me in my newly redecorated office space – which is really the nook off the kitchen that is now cozy with an armchair, a new rug, my desk and two small tables, and two plants. I am surrounded by three windows in this space, bright and open even in the heart of winter. It feels right to me that this space I call mine is not separate from the kitchen, which is probably where I spend most of my time as the mom of this place, our home. I love that my kids can sit of the armchair while I cook dinner. I love that my daughter plays pop music on Pandora on my computer. I love that it is Central Command of the Mothership, where we keep the stamps, where I sit to navigate our family life and also be creative or still. I took Facebook off my phone a few days ago after a conversation with a friend in California. She asked me if I’d had a good weekend and my reply was, “I did, it was a good weekend, though I honestly can’t remember all I did. I’m not so good at remembering what happened just yesterday these days, I think there is too much in my brain… I think I need to reduce the amount of stimulus coming at me to make space.” “Good idea,” she said. There is so much coming at me – at all of us – so much of the time. Not just the fullness of being a wife and a mom and a daughter and a sister and a friend and a colleague. But just so much information. So many articles to read – not articles anyone is making me read, or which I have to read in order for the world to keep spinning, but so much I could read. Some are inspiring, others feel like a waste of brain time, others make me think, I could have written that. Why didn’t I write that? This is the thing, though: Just because someone I care about, or some loose Facebook acquaintance shares something doesn’t mean I need to read it. Just because something is trending somewhere in Internetland doesn’t mean it matters to me, doesn’t mean I need to care. I don’t need to take it in just because it is there. I love to read. Books mostly, articles too. Blogs, websites. But mostly books. I get happily wide-eyed looking at bookshelves – in my house, in Little Free Libraries around town, in the library, in book stores, even on Amazon. Then I get overwhelmed – so many books to read, so little time – but in a good way. I recently read a very sci-fi article about a real life transgender pharmaceutical company CEO who created a robot of her wife as a prototype for one of her other companies’ plans for future life-prolonging technology (yeah, really). My first thought was, Forget eternal life as a robot version of myself (that, to be honest, sounds totally creepy). I want a robot of myself now to take care of all the busy work so that I can have more time to read. For me right now it’s about clearing space in order to create space. I was recently considering signing up for an online writing course, one which sounds amazing and inspiring. One I thought would help to move me to write daily, to work on that book those books that have been brewing for a long time. Then as I thought about it I started to feel tight. It started to feel like pressure, and I know that I don’t create freely out of pressure. So I put it aside for now – not the writing, but the course – and for now I am simply committing to writing daily for at least 30 minutes. Writing whatever wants to come: a blog post, a piece for Luscious Legacy, a piece of fiction, a part of my story. I’ve been a mother for 11 years today, as my big girl celebrates her birthday. 11 years ago I was still in labor, and I would hold my daughter for the first time that evening. She came out with her fist in the air, as if to say, “I’ve arrived! Let’s get this party started!” That’s her completely. She loves life. She loves to laugh and to make others laugh. She loves playing and joking and being a goofball, and she also takes life seriously (I have no idea where she gets that…) She is someone I would have definitely wanted to be friends with if I had met her when I was 11. She is super rad. I can’t help but notice how young I look in this picture from when she was less than two months old. I can’t say exactly why I look younger, maybe it’s just knowing now how much was ahead on my motherhood journey in the years ahead, how much I had yet to learn and be cracked open from. Then, it was all just new. There was nothing except new motherhood: figuring out nursing, figuring out sleeping, getting our new rhythm as a family of three. Worrying about whether and when to vaccinate, when to start making my own baby food, ordering biodegradable bleach-free diapers when she wouldn’t lie still long enough to get a cloth diaper on, going to mommy-baby yoga and keeping my strength and weight on while nursing. It all seems to simple, but I know it felt incredibly complicated then. I am grateful to my daughter. Through it all, she has always been my reminder of what motherhood is at its core, regardless of the circumstances and the sometimes winding, jagged path. She reminds me that it really does just come down to hugs. She reminds me that children of all ages need boundaries to push against in order to grow strong and in(ter)dependent. She reminds me that I am her safe place, her listening ear, her loving arms. She reminds me that I am (and I quote) “the best mom in the whole world,” that she wouldn’t want any other mom except me to be hers (and she has told me this on some of my worst mom days, when I have done a less-than-awesome job at keeping my cool and staying calm). She is a good thing, and we are a good thing together.